The clay pots are not for sale. You go to a sale, see garden tools hanging on the wall and ask if they are for sale, even though clearly they are not. Bonus points if you have your own garage sale and hide your garden tools and hoes so that no one asks if they are for sale or stares because they have never seen so many garden tools in one garage. You refuse to sell any of your gardening tools at a garage sale. Bonus points if you have a crappy trowel that is hard to hold, doesn’t dig very well, and you never use it, but you refuse to try to sell it because if a new gardener bought it, tried it, and it didn’t work well for them either, and then he or she gave up on gardening entirely, you’d never forgive yourself. You have people return to your house a month after the neighborhood garage sale that you weren’t home for to find out what the name of the tree is in your front yard because they saw it flowering and wanted one for themselves. Bonus points if you gave them both the botanical name and the common name and then recommended at least two garden centers that might have it. You spotted a plant you didn’t recognize at a garage sale and asked the homeowner what it was. Bonus points if they didn’t know the name of the plant so you asked if you could snip a tiny spring of it off to take home to identify. Subtract bonus points if you pinched off a piece of the plant without asking. You once sold canna roots or dahlia roots at an early spring garage sale. Bonus points if you included written instructions on how to care for them. 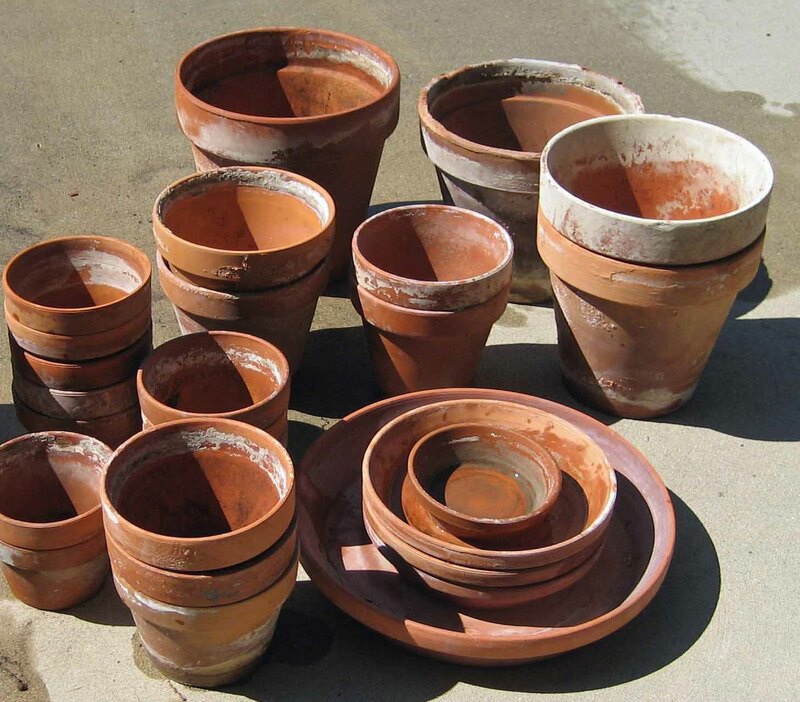 You would never sell any of your clay pots at a garage sale, no matter how many you had. 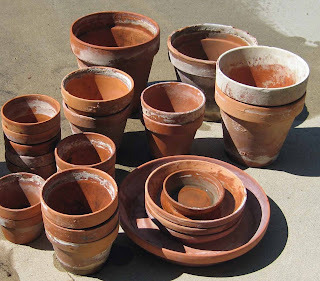 Bonus points if you even keep the broken clay pots because you can further break them into pieces to help fill in the bottom of other clay pots when you actually plant something in one of them. You purchased something at a garage sale that was not originally intended to be used in a garden and then you used it in your garden. You never sell old t-shirts, shorts or jeans at a garage sale because you wear them to garden in until they are no longer decent or are so dirt stained that no one else would wear them. You were going to have a garage sale, but then when the day came, you realized it was the perfect day for gardening so you ditched the garden sale and spent the day in your garden. That photo scared me...I thought you might be selling the pots! I don't do garage sales much but my new favorite stop is the SPCA thrift store. I have scored lots of good gardening stuff there. None originally meant to be gardening stuff. You are so right and you might be a gardening geek if you go to garage sales for the express purpose of finding garden related items. I love weathered clay pots. They are sublime. Perfect definitions, Carol. I couldn't believe that you would sell those clay pots, they even have nice patina. Priceless! I never have shorts or tshirts for a garage sale. I enjoy your Garden Geek thoughts. Being a Garden Geek it is always nice to be affirmed. Oh, I don't sell or give away old t-shirts either. What would I garden in otherwise? When the t-shirts get too raggedy for wearing in the garden they make good ties for holding up tomato plants - or other things that need tying up. One year I struck it rich and got a lot of hoses at tag sales. Has anyone gone "yard sailing" in Vermont?? Oh my goodness, that state is filled with old barns and garages that garden pots, tools and the like just pour out on sale days. So if you see a crazy/happy woman from Long Island running from one sale to another in a state where they generally are laid back...yup, its me! According to this post, I more than qualify as a gardening geek! I have just finished reading all of your posts on "Gardening Geeks" and I am amazed at how closely I measure up! Just last week someone asked me for help choosing cukes in the Gardening section, she said I looked like I would know. I took it as a compliment! I found your blog on the Inadvertent Farmer blog where I am a participant in her weekly KinderGardens posts; gardening with our children. I reallly enjoy your writing -- and we have the same taste in blog backgrounds as well! Oh my - I thought I was the only one with a clay pot fetish! I had to explain to my hubby last month why I had to keep the broken pieces...I hope he fell for it. Great post - I enjoyed it and completely understand!! I went to the weekly flea market in my town last year precisely to sell some of my surplus plants - wanted to do it again this year, sell some tomatoes in addition to the houseplants, but I was working too much. When I do go there to buy anything, I'm mostly on the lookout for gardening stuff, especially big glass ... thingies that can be turned into terrariums. Thank goodness there aren't as many garden geeks as there are yard sales, or I wouldn't have snagged some of my best buys. I love yard sales. When we are traveling in our trailer and in a town on a Sat. we always head to the sales. I'm hunting for garden stuff and have had some great finds. Love finding clay pots of any kind. People don't seem to realize how valuable they are! Just got up and put on the jeans with holes in them in case I want to dash out and weed a bit. I have a stack of clay pots on the side of the garage that were in limbo because I felt like maybe I should finally get rid of them. Thanks for solving this dilemma for me! I spent a couple hours sorting through things in the garage today, trying to do some cleaning. I ended up giving up a bunch of plastic pots that plants came in to recycle, and a few plastic pots I decided I'm not going to use. I did not get rid of a single clay pot or the broken pieces I have. I am not going to many garage sales these days, but am only going if they have yard art or garden items in the list in the paper. I have a couple nice hoes I got recently for good prices.